… however, there are few that seem to get it right. While we’re sure you’ll be aware of some of these strategies, we think there will be some others that you might not know about. …is that by the time you’re done reading these 10 tips, you can implement these strategies and turn your site into a MONEY MAKING MACHINE! What is a Statement of Value (SOV)? It’s something that let’s people know why they should buy FROM YOU. It’s not “We’ll care more than the next guy” or “We have the lowest price” it’s something unique that you can provide better than any of your competitors. [PRODUCT] enables [CUSTOMER] to experience [X]. Nothing has to be mentioned about price, however, you might want to. It’s just a statement that makes a claim we believe in and communicates that to our customers. The days of “faceless commerce” are dead. Future customers want to know who they’re doing business with and what’s important to them. If there’s not a message from the owner (video is best) your site won’t be converting at its optimal levels. Tell them about your mission, why you started the company and your vision moving forward. People buy products but they’re passionate about a cause. How can you turn your business into a cause? Even if it’s about making the best pizza from locally sourced ingredients. When is the last time you went to a site and bought something without looking for a review? Thanks to sites like Amazon (well…actually exactly Amazon) consumers are addicted to reviews. If you don’t have any, you’re already behind the curve. …the better and they don’t have to be 5 star, as lower ratings give authenticity to the “Reviews” section. Consider a rewards program to encourage your customers to write something for you. If you want to go “next level” (as the kids are saying these days) get a video review and really pump up your incentive. This allows you to get user generated content for a fraction of the price and encourages them to buy from you again! Uh oh. Never heard of these? You’re in trouble. Heard of these but aren’t using them??? Time to get to work. Officially known as a “Google UTM Tracking Code” these are little snippets that you put into your URL that let’s Google analytics know where the traffic came from as well as what campaign directed it towards you. Why do you care? Because if you can track where people have been, you can tell what they’ve read and can craft your message accordingly. Then you can go on to reiterate how your suppliers live to provide the best ingredients to maximize flavor and finish with a certain percentage off – not much, but enough to get their attention. We typically like 10%, however, you know your market and where your “sweet spot” is, use your judgement. Do you have video on your website? No? Well guess what? You’re in big trouble. Because people that view videos are 174% MORE LIKELY TO BUY! That’s a HUGE number and how can you pass that up? We’re not looking for “professional level” quality, just something that’s nice and talks about the product (and ownership benefit) and what people can expect. How do you best consume information? Do you think everyone learns the same way? My guess is that you can easily remember movies or podcasts but then might have a harder time remembering quotes of something you read. People want to have the same information given to them in multiple formats. Namely – images, video, and text. There will always be a certain percentage of your audience that will prefer one medium over the others. Fulfill this need and watch your conversions skyrocket. Did you know if your site isn’t optimized for mobile you’re actually being PUNISHED by Google? You can have the best product in the world but if you haven’t evolved, you’re in trouble. 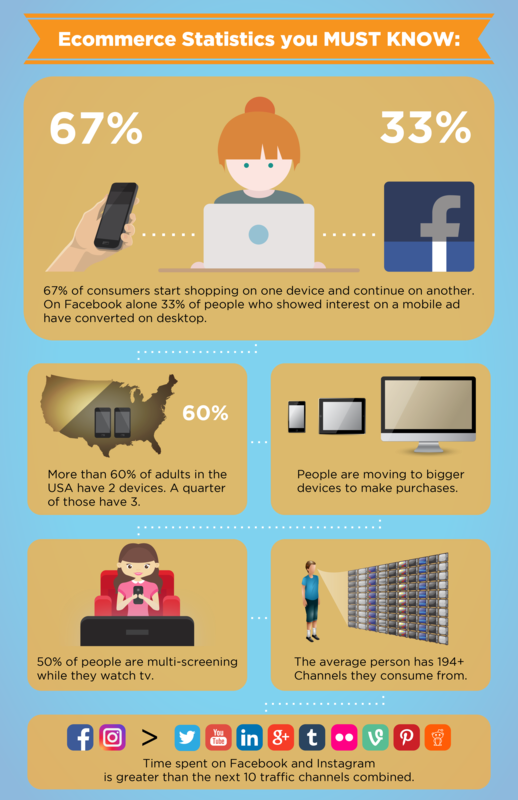 …it’s that 33% of people that showed interest on mobile convert on a desktop or laptop computer. Who wouldn’t love to have a 33% bump in sales? It might be work, but it’s work that’s worth it! If you’re not optimized for mobile, enjoy the two-fold benefit of better rankings and higher sales! Everyone understands that the default response when asking for the sale is “no” and that humans (for the most part) hate change. But did you know that someone’s objection isn’t rooted in the doubt of your product (if you’ve shown that it’s good), it’s that your prospect doubts that it will work for them! That piece of information should fundamentally change the way you handle objections because it shifts the focus away from your product to your prospect. It also helps you understand how you can remove as much risk as possible for them in the transaction. I get it, business is inherently risky and once the sale has gone through, you want to make sure that people don’t come back asking for a refund – and to ensure this, you have a return policy that spells out what has to happen in order for you to process a refund should they want one. If that’s how you want to do business, fine. But if that’s how you’re doing business because you don’t know any other way, it’s time to change. Your return policy should be so simple a 3rd grader can understand it. …if someone doesn’t like your product do you want them to go around saying how terrible you are to deal with or that “it didn’t work for me, but they were easy to deal with!”? It is way more expensive to repair the damage of an unhappy customer than it is to refund them, just let them be on their way, and if nothing else, you’ve avoided a bad review. This one might be a little more out there for you but great e-commerce sites (*cough* walmart.com *cough* *cough*) isolate the “Buy” button and make it a different color than everything on their site. This trains your brain to look for that color when you want to buy and makes it more seamless within your subconscious. If you have the same color anywhere on your site, get rid of it or change the “Buy” button color to something different. You want your visitors to easily locate the button that let’s them buy from you! If you need help implementing these strategies for a successful e-commerce, check out our Business Growth Formula. Access your FREE Business Growth Formula to understand your growth potential…. and the Cheat Sheet on how to do it. …in the future will suffer if they don’t switch and use them! There’s a conversation going on in your market – with your customers – about a specific problem, and many of them are looking for an answer to their problem. A Sales Funnel allows you to easily walk your customers through a process to find their answer. It’s not only engaging, but it also allows you the ability to collect new leads and show your customers you are the expert with the answer in the industry. A Sales Funnel is a buying process that allows your company to lead someone to understand what you have to offer and how it can solve their specific problem. It helps them through the process of purchasing your products. It allows you to generate more traffic to your website, engages your visitors, and offers them the ability to start to validate your solution as their possible answer. Awareness – brings your message about your product or service to your potential audience, creating new traffic to your website. Evaluation – allows visitors to engage with you and validate your solution. You can collect their contact information so you can take them further down the Sales Funnel process. Conversion – guides the warm lead, who gave you their contact information, through a series of engagements to confidently ask them for the sale. Lead Magnet – collects a potential customer’s contact information in return for answering a specific question. Trip Wire – asks the customer to purchase a very low risk and low cost offer. Less than $10. Offer Your Core Product – asks the customer who took your trip wire offer, to buy your core offer. Return Path – once your customer has purchased your product, you can ask them to make another purchase. This increases the frequency in which your customer can purchase more products from you. 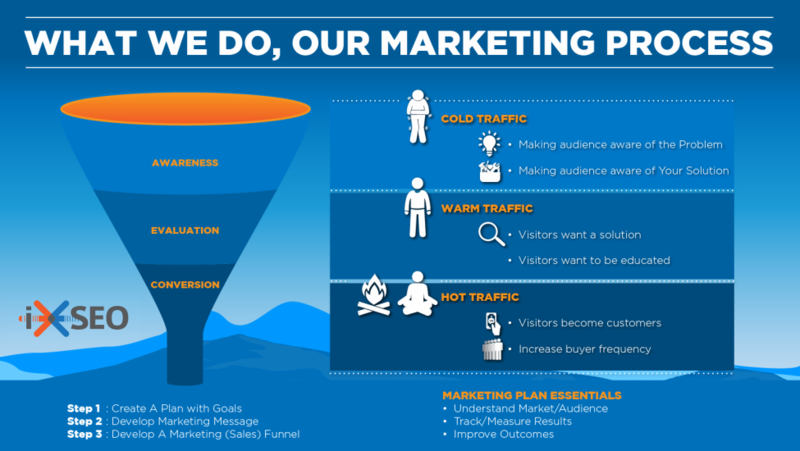 There are 4 benefits when using a Sales Funnel: generating new traffic, collecting new leads, generating money through trip wires, and implementing a return path. 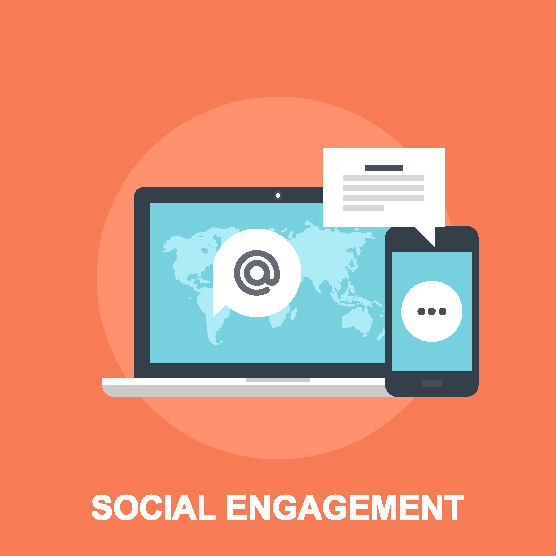 Generate content that is engaging. We say this ALL THE TIME (look through our other blogs and you’ll see it again and again) but how??? What are the top 5 questions people ask you when they find out what you do? Great ads are created by great content and that’s what drives traffic to your website. Your content needs to be informative and offer your customer something they want and need. Content builds your audience and customer base (email list), and keeps them engaged so they come back to you. Look at this case study and see how we generated more traffic. In the evaluation process you use a lead magnet to collect your customer’s information. This is where you give them an answer to a specific problem they have. They found you because they are looking for an answer from someone they can trust. These are irresistible offers your customers can’t refuse and are usually somehow tied into the top 5 questions people always seem to ask you. A trip wire is where you offer your new lead the ability to pull out their wallet and pay you a small amount to try your service or product. …they’ve gone from a visitor to a buyer. And the instant they become a buyer, they are significantly more likely to buy from you again rather than someone that has not. The point of this transaction is not to make money from the customer – it’s to simply pay for the ad cost that got them there! This offer should add value to your core offer. After they purchase the trip wire offer, they are moving down the Sales Funnel and now you are in a better position to ask them to purchase your core service or product. 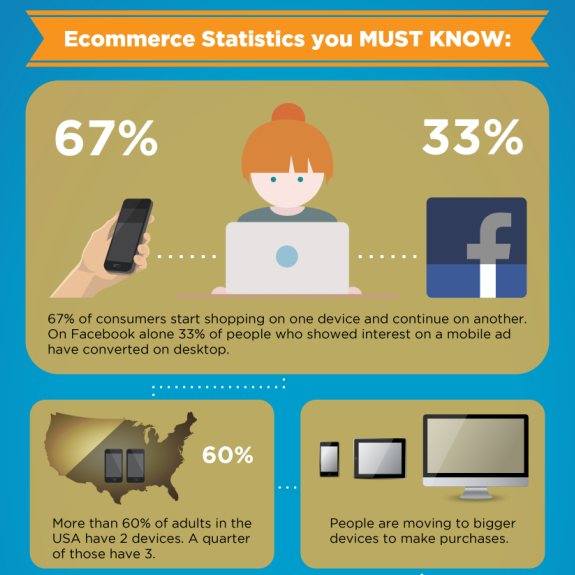 This can be done many ways, but some of the most common growth tactics are retargeting, and email offers. Emails are key because this is THE ONLY TRAFFIC SOURCE that allows you to easily push content AND OFFERS out to your customers. It also allows you to segment your customers and craft offers based on the content they visited (or what they have purchased) on your website. Sales Funnels are key to your revenue GROWTH! If you need help creating your Sales Funnel as a way to collect new leads and show customers you are the expert in the market, we’re here to help you. Click here to see how our clients are using Sales Funnels and access our case study. Do you know your cost per customer? …we can help you figure it out. First, let’s step back and understand why you need to know this information. Sure it’s basic business sense, but when you know these answers you then have access to two CRITICAL pieces of information that can help you grow your business! Did you know there’s a proven formula for acquiring your customers? There are two formulas, one for conversion rate and another for average customer value. But these formulas are worthless if you’re not producing GOOD content! Good content makes customers trust you and establishes you as the expert in what they need. …it helps draw more customers to your website. But, you cannot just post content and hope that the right people find it. You want to advertise it to your potential customers and the numbers above let you know how much you can afford to spend! If you’re ready to learn more about growing your customer base and what it cost for you to acquire a customer, take the next step and get our FREE Marketing Strategy. We can help you put your plan into action to ensure you get more customers within your specific market. Our Marketing Strategy walks you through the process to increase your sales and the frequency in which customers return to you for more business. 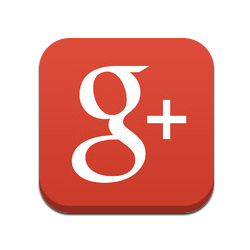 … the goals and values of your audience on social media. Not knowing, will hurt you. …frustrated and angry that your efforts never produced any measurable results, with your brand message never reaching the people you wanted to help! To produce the highest quality content that generates real engagement, discover the mistakes people make, and how you can easily produce high quality content that builds your audience! To help you avoid these mistakes, we’re dedicating this article to helping you fix them! Are they a business or consumer? What does your audience have in common? What conversations do they engage with? It’s good to spend some time comparing similarities in the audience that you are marketing to – this really helps define the value your product or service can add to their needs. There are 4 ways to help you understand who your potential audience really is. …which helps us discover what type of customer we want to market to, and what their common interests and similarities were. We take those similarities we learn and split them into 4 strategies. What kind of goals do they have? Is there a desire to grow their business? What kind of values do they have? Want to do a better job at customer service? Want to follow policies or rules in their industry? Maybe your audience is known to be more liberal or free spirited? What are the top 5 challenges that their marketplace is facing? What State or Federal rules control the way they do business? Are they limited on income or time? What about if the challenge is something that is a private matter – such as a urinary tract infection? What do you get for your purchase? What value does your business bring? What is your ultimate reason for purchasing? Why do they want to buy? What could be some possible objections to your services/products? What books/magazines are they reading? Do they attend any conferences? If so, where? Who are the gurus they follow in this space? You only have so much time to capture your audience’s attention! 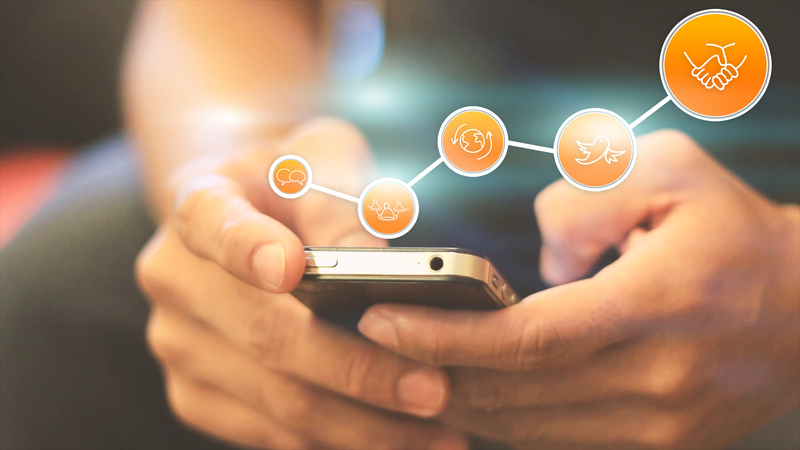 This is why understanding these 4 key areas is important when approaching marketing from a social media engagement perspective. Spend time on the importance and VALUE your company brings them. If you need help creating your Marketing Plan we can help you put your plan into action to ensure you get more customers within your specific market. Get it today and avoid the 3 simple mistakes that are killing your social media engagement. 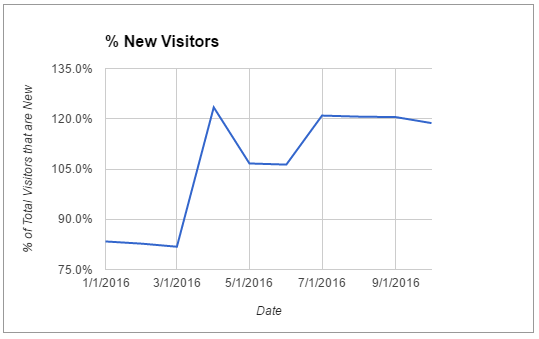 “HOW DO YOU GET VISITORS TO YOUR WEBSITE”? Get the hint? You need good content to drive traffic to your website, and keep them coming back! Having an audience drives revenue and the ability to advertise yourself even more. It also frees you from being stuck with any single social media platform! While the answer, content, is simple – having the right content takes a little more thought and time. …this is where we share our secrets. You absolutely want to show your customers and potential customers that you give them VALUE in your market. Using content to drive them to YOUR business is essential, while also helping them to understand what you offer and why you’re different. Developing an amazing Content Marketing Plan is guaranteed to bring more traffic to your website, while making your customers aware of the value of your company, products, or services. The more content you publish about your products, services, or company, the more you make the public, and more importantly search engines, aware about you. Without content you won’t’ have anyone looking at your website, and without website traffic, you don’t have sales and revenue. Keep your information in front of your customers and potential customers. Find out what your potential customers want and are talking about. Then offer your products or services as the solution to their problem. What complimentary product or service do your customers enjoy? Too expensive to develop? Approach someone in that space and ask about a joint venture – everyone makes money and your customers are happy! Continual engagement in your customer’s conversation builds trust between you and them. CONTENT is the foundation of building that trust. …take full advantage of it. You always want to bring people back to YOUR information. …and now you’re simply bringing them back into an offer. Consistently ADD VALUE for your customers. This will encourage them to respond to your call to action, converting to revenue. 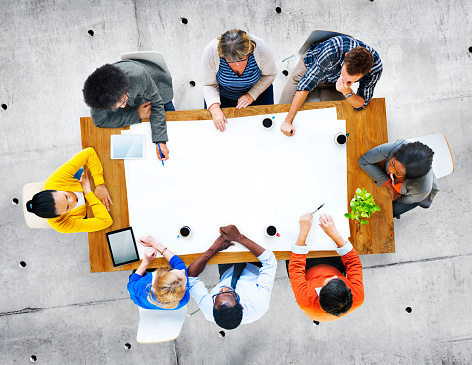 Do you know what other conversations your customers are having about your market space? Did you know that survivalists also have a significant interest in sewing? What’s the “sewing” conversation of your niche? Find that conversation and watch the value you bring to your customers EXPLODE! Not sure how to find those conversations? Read this! …as if you were sitting across from them. Want help? We’d love to talk to you! If you can’t measure your efforts, NONE OF THIS MATTERS. In order to grow your revenue, you need to see what’s working and what’s not. Start growing your website traffic today by clicking here to Access your FREE Marketing Strategy. 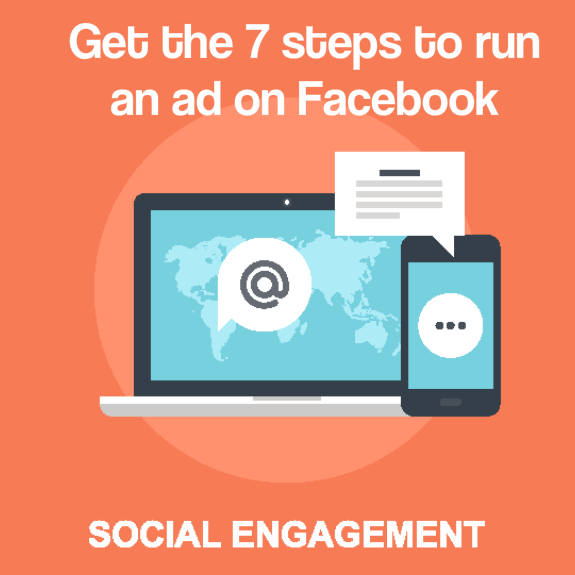 …on the way we get results on our Ads using Facebook marketing. IN OUR PREVIOUS POST WE TALKED ABOUT HOW TO GET UP AND RUNNING WITH FACEBOOK. IF YOU HAVEN’T SEEN IT, TAKE ADVANTAGE OF THAT OFFER NOW! IF YOU HAVE, YOU’RE GETTING READY TO TAKE YOUR GAME TO THE NEXT LEVEL! We use this process to produce outstanding results for our clients. We also have a case study filled with tactical marketing tricks – that you can put to work right now! It’s important to find a good image your audience will respond to and engage with, when running an ad. It’s good to test the ads to make sure you are getting the response you need. Since we are talking about response, video is always best to use when making people aware of you. …to help you understand how you can improve your ad results. It’s a Facebook marketing process that’s easy to follow! These three phases help you target the people who would most likely be interested in your product or service. The trick is using a message and image that will get their attention. You can use our process to do this. With all the options Facebook offers, you now have the ability to get your message in front of exactly who you want it to be in front of. …we’re here to help you understand all the phases. 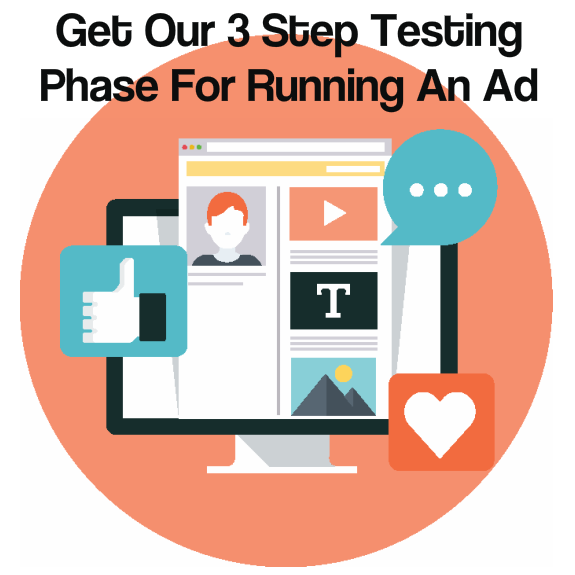 We are offering this information to you to help you understand the ad testing process so you can be successful too! Have you heard of a Digital Marketing Funnel? Social Engagement funnel? Same thing. The concepts are fairly simple and the process is a little technical, but that’s why we’re here! We’ll walk you through it! …it’s how we get social engagement and build relationships with people! …let’s start with our 1st step in the process which is Awareness. You have to introduce yourself ! That is FIRST and foremost. In the beginning when a potential customer meets you, the relationship is cold. You need to introduce yourself first – and let them get to know you. Just like dating. If you meet someone for the first time, there’s a natural process to engaging with them. Much like if I was to meet you. I wouldn’t just start telling you EVERYTHING about me. I would start my conversation gradually, and start with something like, “Hey, my name is Bonnie! Here is a little bit of information about me”. You want to find something you both can talk about. If you don’t find any thing in common, then you usually move on. If there is a common interest between both of you, then you start talking more, and get further into a deeper conversation. That’s raising awareness about who you are with a cold prospect! Create content. Lots of it. 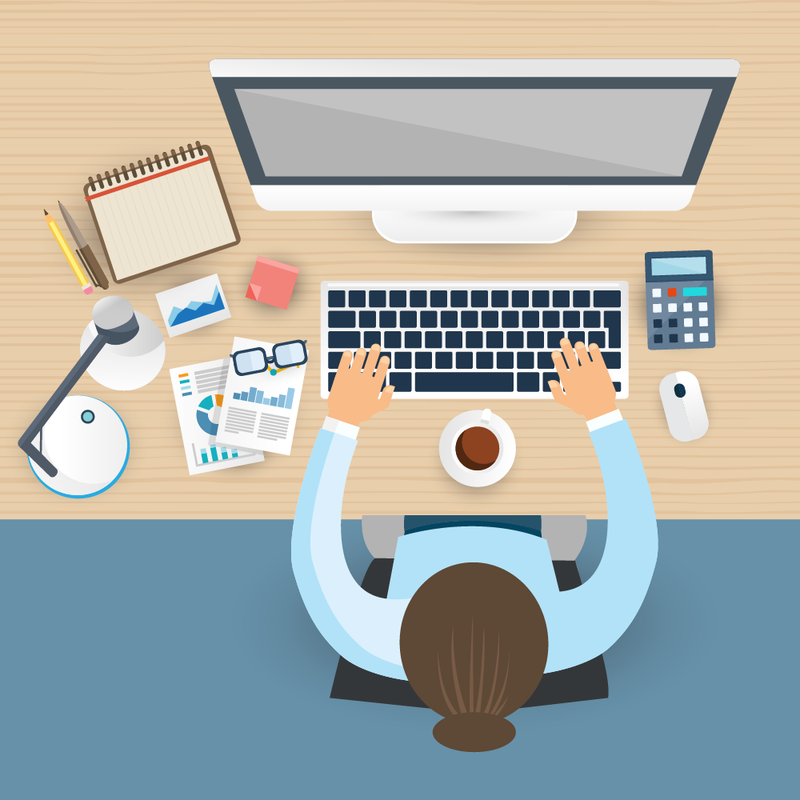 You can do this best by blogging. Gear the blog information toward what conversations or questions are occurring in your market or customer’s head. Send Social media updates. Get your information on all social channels. Utilize Facebook, Twitter, Pinterest, etc. By bringing Awareness to your company and you, this increases offer awareness, which in turn helps you grow your website traffic. Further, if you do a good enough job bringing Awareness to you, then the next time they see your posts, they will click on it and check you out again. That opens a door to bring them to the Evaluation stage. …let them know what you do. Let them know why you are important to them. Once you’ve started the conversation and have one going with someone, the relationship is warm, they’ve shown some sort of interest in you. Now your prospect is Evaluating what you are talking about. They are looking to find a solution to their problem. Make them an offer, one that ADDS VALUE. Since they’ve shown interest, this is the time and opportunity to offer a low cost or free solution…with intent of getting their contact information. But even if they leave your page and don’t take your offer, you can retarget them with another ad to get them to come back to your blog and keep them engaged in the conversation. Create Offers. Relevant to them. When you get their contact information and email, you know their definitely interested. Now you can segment the information into individual interests by a Facebook pixel, and move into the Conversion stage. The relationship is hot. They are completely interested in what you have. …and if they ask, offer them something to buy, and even upsell them with some high dollar product or service. Did you know you can buy a $3,000 espresso machine from Starbucks?? Since you’re already a customer, they know a small percentage of people will actually be interested in that offer and they don’t have to spend anymore money to “acquire” you! By offering value statements at the beginning of the Marketing funnel in Awareness and through the Evaluation phase, these conversations help you build authority and trust with customers – which leads to Conversion. Offer FREE trials or demos. Relevant to their needs. Implementing the 3-step process will help people start to know you, like you, and trust you! And customers will buy from someone they know, like, and trust. We’re glad to share with you how you can create your own Facebook Ad – and get your product or service in front of people who are looking for you. …the Intelixseo’s Facebook Ad Process shows you how to get your audience – and you can use it AS MANY times as you need to! If you’re not interested, that’s Ok.
At least you have the knowledge now to start implementing the ideas we talked about to start building your relationship with potential customers. …your business expands, grows, revenue is up, and you have finally achieved success! As an entrepreneur or business manager there’s so much to consider when running your business. 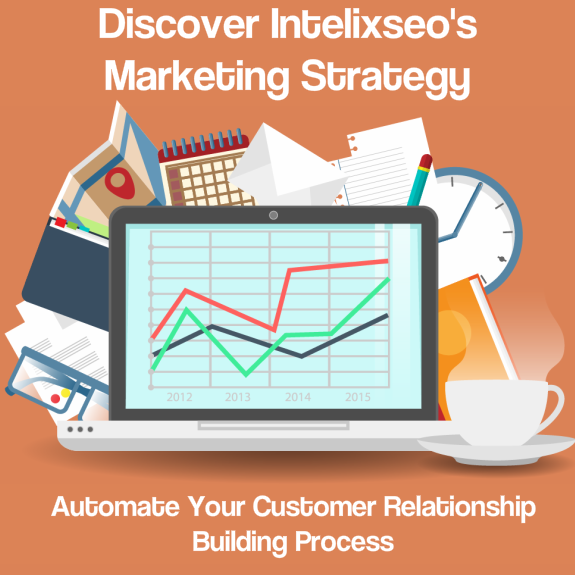 That’s why, at intelixseo, we are giving you the Business Growth Formula – for FREE – to achieve your success. Knowing your Business Growth Potential is essential to long-term success. But understanding the mathematical formula is even more essential for expansion and growth. …step back from the day-to-day operations and look at the potential revenue each customer could generate. → Understanding how to optimize that revenue potential is the start for your overall business growth! 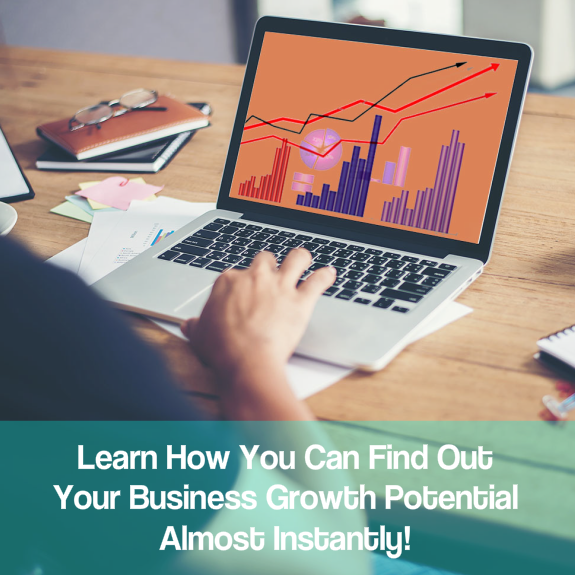 Besides the awesome formula we’re giving you, we’ve identified some other basic concepts to help you recognize your business growth potential. …but how do that they do that? By trying to advertise louder than the next guy! This never works because people all offer the same thing (a small discount) or never set their product or service apart. Provide your customers with VALUE upfront! 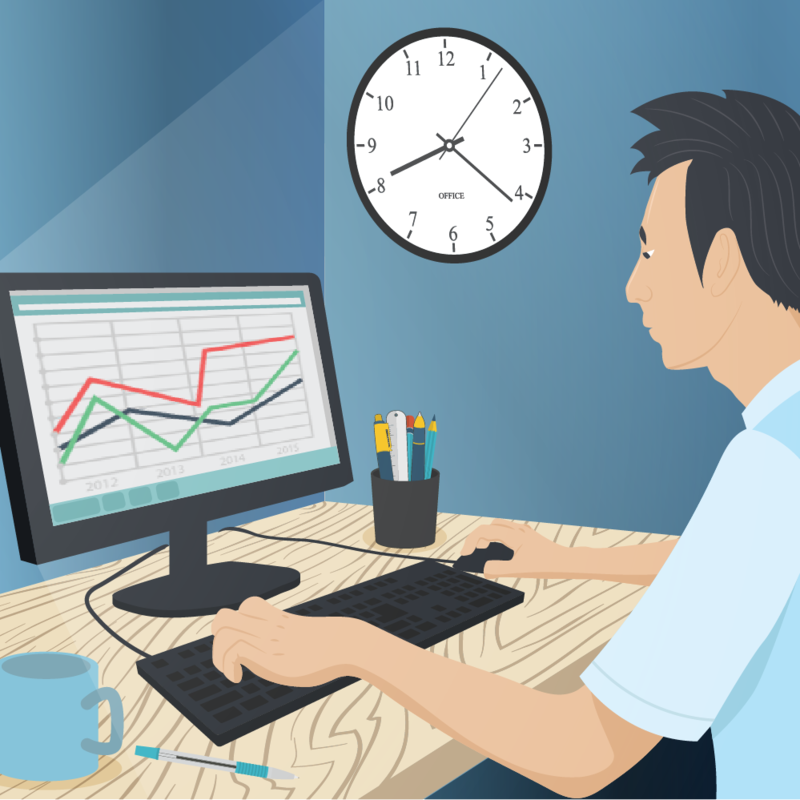 Sure… you probably talk about your products features and benefits – but what about the average day of your customer when they have your product? What about status? If you can effectively show how your product elevates your customer’s status, your number of new customers will explode! Make sure your customers clearly know the value your company brings to them. …By answering specific questions they are asking before they even find your products or services. Your efforts should be focused on improving your customer retention by adding value to your core products or services – which in turn increases the sales amount. This can include new products that you develop, however, another successful (and incredibly profitable strategy) can be bundling your product with a suite of complimentary products. This allows you to charge a premium, increasing your margin and making your customers happy by providing them with a premium solution to their original problem. 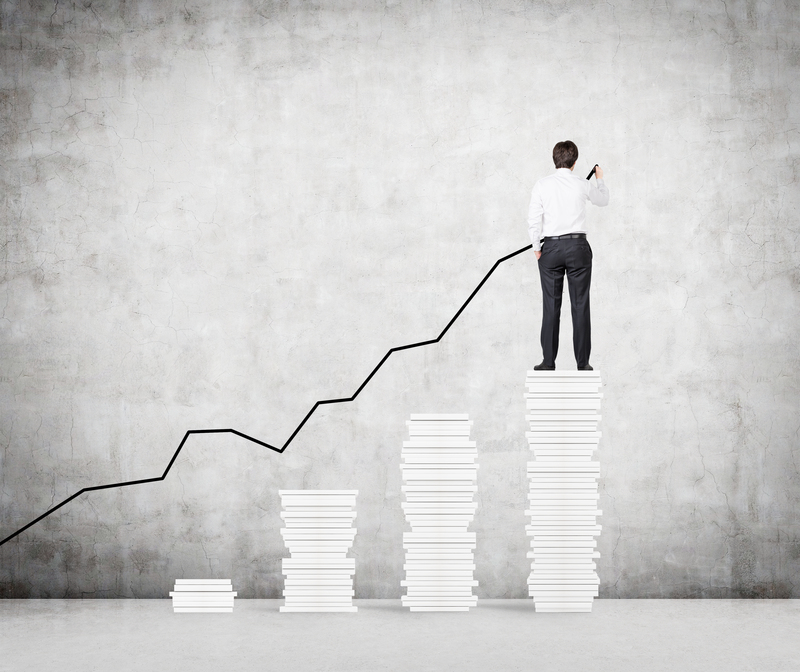 Remember… that a single good customer can generate revenue multiple times. Simply join the conversation that is going on in their head and mind already. Answer the question that your customer is asking and is valuable and specific for them. Since the cost of acquiring a new customer has already been spent, you don’t need to try to create a new conversation with them! Once they trust you – they will keep coming back to you for more answers, and in turn, more products or services. If you’re serious about growing your business, take that next step and get the FORMULA, it works! Following the formula allows you to increase your sales – and – the frequency in which customers return to you for more business.